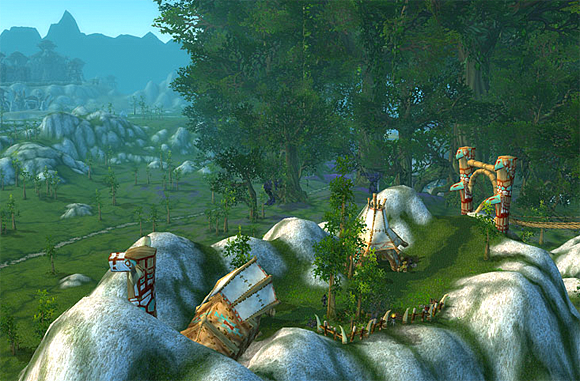 World of Warcraft and Minecraft: Models for our educational system? How two games can help student engagement. What is wrong with schools that there is so much discussion about how to fix them through gamification? One perspective is that students are unmotivated by school but obsessed with gaming — perhaps a game-like structure for school would make students as passionate about solving quadratic equations as killing monsters. Another perspective is that students are not being prepared for a 21st-century workforce — perhaps the collaborative requirements of online guilds and group challenges would help them gain the skills needed to work in a global environment. A third perspective is that school has lost any authentic connection with real life — perhaps introducing playfulness will create more relevance and authenticity. Numerous game-like technology approaches for learning have been known to improve test scores among low-performing students. Computer-based learning that allows students to proceed at their own pace, to slow down and repeat subjects when they get stuck, to skip material they have already mastered, and to have a digital dashboard that lets them know how far they’ve come seem to help students stay more engaged — at least when combined with guidance and support from an excellent teacher. As these elements parallel many of the mechanics of games like World of Warcraft (WoW) it is not implausible to think of including them in both digital and brick-and-mortar learning in the hopes of creating significantly increased engagement and achievement on the part of students. There are some powerful ideas in this approach, including the most common gamification mechanism: leveling up. Traditionally, students learn one day at a time. “What are the new example problems, and can I reproduce the process of solving them? What will be on the test?” In this model, the goal is the grade, not understanding, and the game is school. If done well, implementing a leveling-up metaphor can help shift a student’s mindset to one in which the game is learning and the grade is a side effect of getting better. “What do I need to understand in order to reach the next level?” Generally, this requires that the levels are awarded as indications of genuine accomplishment as opposed to being expected to have intrinsic motivational value. Another common mechanism is “unlocking” new content: one can imagine a math curriculum being broken up into smaller modules that allow a student to choose what skills to “unlock” next, increasing ownership and autonomy in a way that is associated with increased motivation. “Achieves” (acknowledgement of having accomplished something significant) can motivate students to explore more widely. Leaderboards can stimulate competition and peer pressure to succeed. With careful design, the structure can create an environment that supports both intrinsic and extrinsic motivators for personal achievement using traditional gamification tools that parallel the leveling aspects of games like WoW. The challenge with the gamification approach as described so far is that it doesn’t address the whole story. What education has found over the past decade by incentivizing improved test scores is that those come at the cost of other forms of student achievement. For instance, a student who can achieve proficiency on a state math test may be able to solve rote problems and perform computation, but not know how to apply those skills to challenges in the real world that require higher-order thinking. More importantly, competency in these basic skills may not be enough to prepare a student for work in a global economy. There is a growing emphasis in education on 21st-century skills such as collaboration and communication — skills that advanced players of WoW must master in order to succeed in dungeons, battle grounds, and raids; those aspects of the game that require groups or teams. There is no point system in WoW to grade you as a team player — there is only your reputation. Other players include and invite you based on your value as they see it — a combination of your performance and their biases. Similarly, in school, there are currently no digital assessments that can predict the ability of a student to perform effectively on self-managed, collaborative teams once they enter the workforce, yet preparation for work or college is one of the top goals of K-12 education. That’s not to say that there is no performance data available — it just requires human interpretation. In WoW, raid leaders download spreadsheets with data on every action of every character and its effect — data that is available because the game is digital. This data is used to determine the performance of the players and the effectiveness of their strategies. Combined with first-hand experience of collaborating with each player, this data can provide a well-rounded picture to an experienced raid leader. Analogously, in schools, one could imagine that digitally mediated group projects might yield data that would help an educator understand how a student was performing as a collaborator and a communicator. Of course, teachers do this without technology all the time; but with large classes and little time, they are exposed to only a fraction of the work and interactions that are actually happening in teams. A personalized education can parallel WoW on two levels — in the first, a shared standard for success lets the student “level up” based on mastery rather than moving through the system based on seat time. In the second, shared common goals give the student the opportunity to demonstrate 21st-century skills such as collaboration and communication. But this interpretation of gamification still falls short of the big picture. Life doesn’t have the pre-defined goals at which these structures are designed to help us succeed; whether work does or not depends largely on the work environment, far more than on the nature of the work. If part of college or work preparation also involves gaining experience and confidence with open exploration, curiosity, creativity, and following a hunch or an interest without knowing where it will lead, let’s shift our metaphor from Warcraft to Minecraft. Screenshot from “This is Minecraft” video. Like Warcraft, Minecraft is a virtual world with a few simple rules. In a nutshell, the world is littered with materials that can be used for building things, a “craft table” for making things from raw materials, and optional monsters to battle. Unlike Warcraft, there are no pre-defined goals. Players may create adventure maps with all kinds of goals and challenges for other players, and these are wildly popular, but conquering a map doesn’t get you points in a bigger game-wide contest. Minecraft is about making stuff. Virtual stuff, but stuff nonetheless. It is also about exploration. In Minecraft, you can get lost and never find your way back, in which case your best option may be to cut your losses and move forward. In Minecraft, players make elaborate buildings, works of art, performance art (see the TNT videos on YouTube), and mini worlds and challenges for other players. Games like Minecraft can offer us a perspective on balancing the goal-based solving of problems with the open-ended finding of valuable questions — a skill education will need to provide to every new global citizen. If there are things to learn from the notion of gamification, let’s apply them at multiple levels, not superficially. We can learn from levels and leaderboards to add intrinsic and extrinsic motivators to help motivate students to succeed at traditional state standards and tests. We can learn from the structure of the human dynamics in massively multiplayer games to value and capture collaboration, communication, and other higher-order skills needed to achieve collective pre-defined goals. We can learn from simple rule-based (as opposed to goal-based) games to value and preserve the artifacts of exploration as well as its end products.